Here’s an attempt at a weekly vlog I’m going to try to put out on Fridays to complement what I post here. I hope it’s a complement and not something that replaces what I’m writing here, but the temptation is very real. As someone who studies rhetoric and argumentation from the speech communication tradition, it’s much easier for me to just talk into a camera instead of writing. I do love writing though. Love doing it, never had a problem with it, and really like the idea of keeping a blog. The trouble is finding a regular time to engage in the practice. The best fusion of worlds might be in a new podcast I’m about to start producing. More on that to come as it will have it’s own website and all sorts of ways to interact. I’m trying a different platform from the way I did In the Bin. Let me know what you think of the vlogging experiment! And yes, I need to color correct my footage before posting it. Just realized that. They have renamed all the donuts in the on-campus Dunkin’ Donuts and I cannot deal with it. The names are just too much and I keep taking pictures of them. Now that we are jelly-brating, some news you may have heard already: I am no longer directly or indirectly responsible for or teaching a debate program. I handed it back over to the university to see what else I can do with my time. Of course, the real reasons are not that selfish, and they are also not public. Maybe one day I’ll post them here, but for now just know that things are better than I could have imagined. I feel like I have a new job, and there are all sorts of new perspectives I’ve taken on due to that. Most of them have to do with how and why we teach public speaking at the university, but there are a few other ones too. I have to get back to writing and course prep for now - I have a big paper coming due that I did not budget enough time to complete. Now the heat is on. And the blog must suffer. The eulogies will never end. Everyone is talking about the death of John McCain using the strangest language about "service" and "honor" and the like. It's no surprise - as Aristotle tells us praising Athens before the Athenians is barely a challenge. Tropes of hard work, dedication, loyalty, honor, love of country, self-sacrifice, and others are so easy to generate to call them thought would be overkill. John McCain died from a horrible illness, and death is almost always, almost universally, by all audiences, considered to be a loss. But the amount of praise McCain gets from people who disagreed with him, or thought his ideas and policies were bad, says a lot about what we value, or don't value. At around the same time McCain died, playwright Neil Simon also passed away. The attention Simon's death generated was paltry to that of McCain. Neil Simon wrote some of the most popular, appealing, and probably the most produced plays (if you count high school theater and speech competitions as production) in the world. He brought us a very complex, very humorous and sad, very intense portrait of human affairs. And that's why he's not treated the same way in death as John McCain. McCain's job, like any politician or senator, is to simplify incredibly complex issues in a way to either garner support from them, or to make his support for them intelligible. This principle is applied to everything, to the point of harming understanding and harming appreciation for the issue itself. McCain's "service" that he is so praised for could refer to his time in the military or his time as a senator. Oddly, his awful time in the military did not inspire him to call for demilitarization or even raise the question of why to have such a large fighting force. He took it as a given, as natural, and called those who did not support it unpatriotic. McCain's "service" made him and his family very wealthy, and it also gave him what Kenneth Burke called "occupational psychosis," the natural lean to see the world in the terms of your profession or perspective. As a military man, he saw the world as a military problem, and was happy to reduce and "cook down" issues to this simple formula. As an example, I watched one of the many panegyrics on TV for McCain - an old former senator - talk about how McCain always said that issues were about "men and mission" just like in the military. Not only is this stupid, it excludes everyone who does not identify as a man as well as reducing the work of government to something like a video-game level. Do we want to think of governance as a mission? Do we want to think of the people involved in these issues as "men," with all the military association that comes with? McCain did, but I don't believe he was that interested in thinking. Making reduction your principle of understanding betrays your motives quite well. McCain, a career politician, probably said, "well look it is really just one issue here" more times than any sane person should. McCain is praised for service, but I think the more appropriate term is "servile" - beholden to shoring up absolute concepts of value regardless of what violence they do to the world. We as a society love that. We love it when someone "sticks to their principles" regardless of the wake of damage it causes. Delusion like this, often referred to as ideology, has a long history of being praised, simply because of the ideology we have of strong, single-minded individuals who don't change their minds being good people. This is of course in direct contrast to our lamenting society's inability to understand facts. McCain, and many others, are part of the problem as they spread this shoring-up, simplistic discourse in order to consolidate their power, enrich themselves, and somehow govern the nation. Neil Simon, on the other hand, celebrated and worked toward complexity. Far from reduction, Simon split his view of the world into multiple, contrasting voices and had them talk to one another. He put them in impossible situations and had them talk about it. He then had these performances placed before audiences to generate even more conversation. In his plays, each character is as sympathetic as they are annoying. This seems like daily life, yet it's represented in a way that provides inquiry into understanding rather than the reduction needed to garner an understanding. For example, Simon would give us a controversy and involve people who would expose their motives through speech in a way that would make us dislike them for the very reasons we understood where they were coming from. Such emotional contrast would make us rethink our attribution of motives ourselves, and wonder how we understand at all. Such work, very difficult to do, is what Mikhail Bakhtin identified as "dialogism" - placing voices and ways of speaking in contrast that would not naturally interact. Simon was a master of this, and as a result, we got a very sneaky way of inquiring into our own motives, our own biased ways of viewing and knowing the world. Simon's world is one where uncertainty is welcome, and we evaluate argumentation and conflict from several perspectives at once. The result is an inquiry into motives and values. An inquiry into how we know what is right, bad, good, or sad. Such an operation slows us down, makes us think, and makes us less likely to engage in eradication of views that are not our own. A plethora of discourse, speakers, and modalities often gets a laugh, but that laugh is the first step toward taking inventory - "Am I like that?" John McCain is celebrated because he oversimplified the world and made us feel good about it, even if we thought his votes and policies were not good. We admire him because he "served" his country - whatever that means. Reduction always converts the anxiety of understanding as a practice into the comfort of understanding as fact. If you are right you no longer have to think. No wonder we miss him. McCain's work was that of stripping away the complexities that make us recognize our humanity rather than shoring up oversimplicities to make it easier to funnel money and power on a global scale. Neil Simon gave us no such comfort. His work placed human complexity and frailty right in front of us to show us our understanding was always incomplete. We saw our dependence on language and the incapability of language on stage in familiar situations. We wondered if we were like those characters. We wondered why we liked them even if they were flawed. We wondered about what it meant to care for someone else. All the questions were raised and open. A very dangerous feeling, best consigned to entertainment. He confronted us with the impossibility of knowing as anything more than a practice that must be defended. No wonder his funeral is not televised; no wonder his obituary is on the theater page. Truly insightful people who cared not for country, but for humanity, threaten our comfort. When we gain the sort of love we have for militaristic simplicity for the fungibility of value and the power of language, we will treat our Neil Simons better than our servile senators. Where Does Rhetoric Begin in Courses? where should we start in class? With organization? Research? Developing an audience profile? Wherever you start teaching in a speech or argumentation or debate course, that is where you are positing the start of rhetoric. The question of a start is the establishment of ends. What is the purpose of rhetoric? Why learn and study it? I was gifted this great textbook from 1900 the other day, and the authors start with style. Most public speaking instructors probably cover style, near the end of the term, along with ethics, in the sense that "audiences expect different things so speak the way they want. Now, back to the importance of a bibliography." This attention to style could be seen as evidence of the simplistic refutation of rhetoric as being surface-only, an affront to the deep consideration of the true that philosophy, et. al. deal with. It could be the understanding that style is the only way we have to understand truth. If it comes across in one way rather tha another it wont matter how true it is. in starting with style, this book doesnt mince words. Theres a much better understanding of acceptability than we get today. Most public speaking courses convey an obsession with facts. Facts are the only style needed. Bring your references of various types and you'll be believed. Qe grade a lot more on references than oration, as if we have lost faith in rhetoric as a productive, creative force for good. Where is the faith in oratory to make the world? probably in the same spot we left our faith in students. The last time students were praised as a group I cant remember. Instructors at my university praise an I individual student, but with the tone of surprised exception. The student is impressive because students are supposed to be terrible, and this one isn't. It's a sad situation. Where is our belief or sense that the world is more than a selection of careers? That making money means you are successful? that good grades mean you know things? All of these questions should be able to dissolve easily in the hands of the trained orator. Then be reconstituted as immutable truths. But no. Far more important they learn how to cite a scholarly source isn't it? That's our style and hence our truth. If the facts dont work, we just shrugand call others stupid. If only we had a practice that could be used to reconstitute stupidity and facts into a pliable substance for making things, attitudes, people, and thoughts. 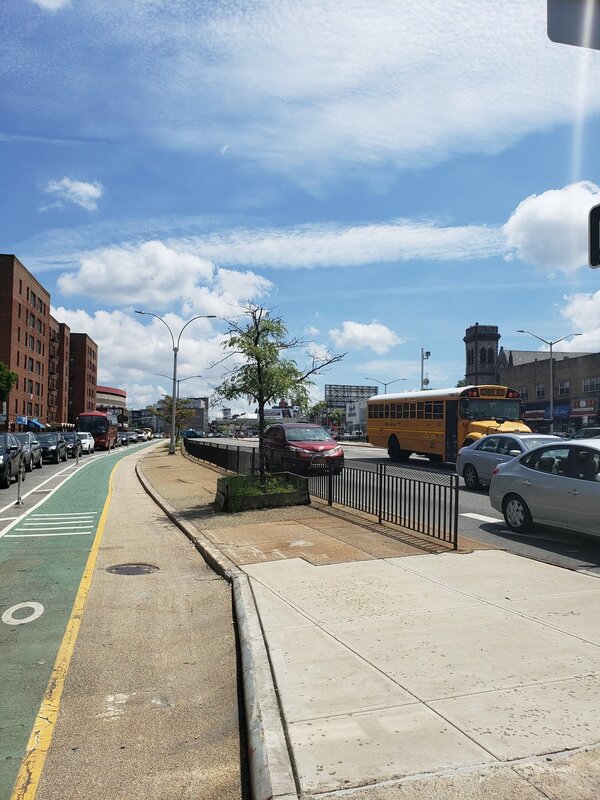 I wanted to write this post on the subway and the bus however my mobile wireless was giving me problems. It wasn't until I got to about where I needed to go that it cut back on. I don't know if there was a tower issue with T-Mobile or if it's with my phone, but either way it was annoying. We'll see how it works today - headed to campus again and also to hit up the bank. I bought some replacement furniture yesterday. Something about the summer means it's time to refresh everything. I think it's because most of my life, and all of my adult life, I've lived on the agrarian-haunted academic calendar. The new year starts in September, and the end of things is around May. So when the end of July hits, I start really thinking about what's new, what to change, and what to clean off. To that end, public speaking is getting a whole new work up this term. It seems that creativity, or the act of making, inventing ideas for the sharing and consideration of others, is absent. We have social media as a creative outlet, but participation in the consumption of pieces written by others is not invention. We have cool sites like last.fm (which I love), goodreads, youtube histories, instagram (consume what I'm showing you that I am seeing), etc. They all work very well. But they don't stand in for creating one's own self, they are appetizers for that. Nobody wants to base a relationship with someone else, friendship or otherwise, on "Do you like X" where X is a director, a band, a movie series, etc. But this is our way of sizing people up. In addition to that operation, we should consider how malleable and fungible our positions are. Currently students tend to think that people are in intransitive states - that expressing a politically disturbing or disgusting position means that you are irrevocably, ontologically that expression, and the best thing to do is ostracize you, or shout at you, or whatever the remedy might be. Conversion via persuasion is not on the list unless it's part of the performance and expression of truth. The understanding that our identity is by our positioning of the self within what we consume, and expressing what we consume or don't consume as "who we are," means that the attempt to change someone's mind, or that a mind is changeable even, fades to the background. Part of the culprit for this is the reliance on rules such as "reason" when we teach people what a good argument is. Argument is not a rules-based or rules-dependent operation. It's results-driven, which is a fallacy for a lot of thinkers right off the bat. To study it by positing boudaries, rules, illegal operations, borders, and the like is to offer up argumentation as just one more object one can consume and show it has been consumed in order to fashion identity. 1. Figure - the nature of the person or people involved that you are giving advice to. Why are they the decision maker? I'll think of some other guidelines today most likely. The goal is to create a number of cases that would be interesting and challenging to make arguments about. Those arguments are not based on what one has consumed, but what one feels normatively that society should be like. What changes should be made in our beliefs that will push us in that direction? 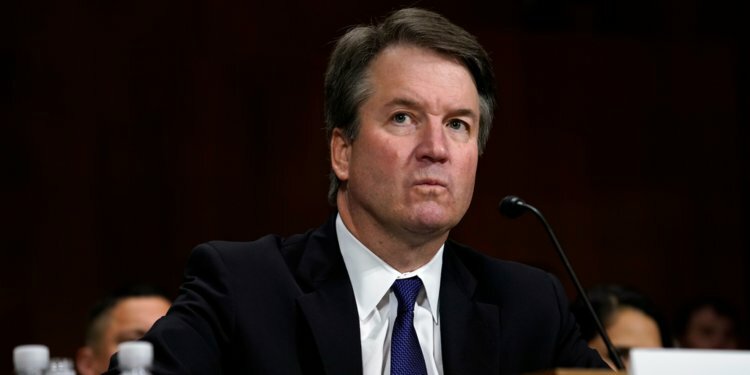 Instead of reporting on something that should be consumed because it is good, ethical or right (for example, why we should support Bernie Sanders, why we should legalize marijunana, etc) we have a very specific, contextual moment that requires the creation of values tailored for that moment. What is it that we hold as valuable in situations like this that will inform action? What decision should be made? Who is right? We'll see how the experiment goes. Students come to the university these days, through no fault of their own, willing to consume and regurgitate what faculty want to hear. They want to be tested on what they can produce when the sign of the demand is made clear. What happens if that demand is not made? What happens if the demand to produce is made but there's no container to fill? What if we have to determine whether it was good or not instead of accounting for the extant goodness that is supposedly already there in patterns of consumption? Aliens confirmed. Well, aliens by metaphor only. Who is left who can read or write in shorthand? The technology of shorthand I imagine is pretty much lost. This is clearly a secretary cleaning up her (or possibly his but it would be a rarity) notes on the transcript of the meeting recorded here. There were recording technologies, like wire recording, that were used in dictation. But typewriters were unable to keep up. I bet today you’d have a tough time on a laptop keeping up with dictation. Maybe not. But shorthand was a technology to keep up with dictation in order to type and send the letter anyway, or in this case to record and produce the minutes of a meeting. Shorthand is one of these things that had utility when there was a gap in the ability of technology to cover time. The mechanical typewriter is too cumbersome to compose at, and was used for final copy only. With shorthand you could get verbatim anything anyone was saying. The price for this was no joke. Many times in the archive I found discussions of budgets for these organizations, and one of the top concerns was the price of stenography services. Sometimes for the month this could be hundreds of 1930s dollars - which would be thousands today. A very significant office expense, but if you wanted to do business in a particular way and at a particular volume, you really had to have it. I wonder what other technologies like shorthand have fallen to the side. Will laptops or swipe keyboards be like this? Emojis? I wonder. Woke up today and worked more on my long-term writing project about debating. I woke up with the question: If we are seeing a radical change in the way that people evaluate information, trust experts, consider what a fact is, and all that, why is our solution to just double-down on teaching the fallacies, tests of evidence, and scientifically derived notions of truth? It's like if something breaks, you try to figure out why it broke, not do the thing you were doing beforehand even more intensely. I actually just really don't think things have changed, we are just noticing that facts don't get us a lot and don't do a lot for us versus presentation, representation, and interpretation. Like salt though, facts make these different dishes have good flavor if used in the right amounts. Today I'm about to head to campus to pick up another ILL book that came in when I was in Maryland. In case you didn't see the vlogs from last week here they are! I shot these in 4k on an action cam which i really liked versus using my handycam which seems a bit big, especially with the microphone and all of that. I think that the size is not that different from a DSLR or other style camera, and just as bulky, but the action cam is the only thing I have that shoots 4k. I think they turned out ok even though they are a bit choppy. I might move down to half that resolution and shoot at 60fps on a more narrow field of view, then the videos will look pretty amazing. Most people are just watching them in 1080p anyway, at least for a couple of more years. Still thinking about the time I spent in the media archive at the University of Maryland. They have a lot of documentation - transcripts and recordings and the like - but most exciting is their collection of the technology of broadcasting. 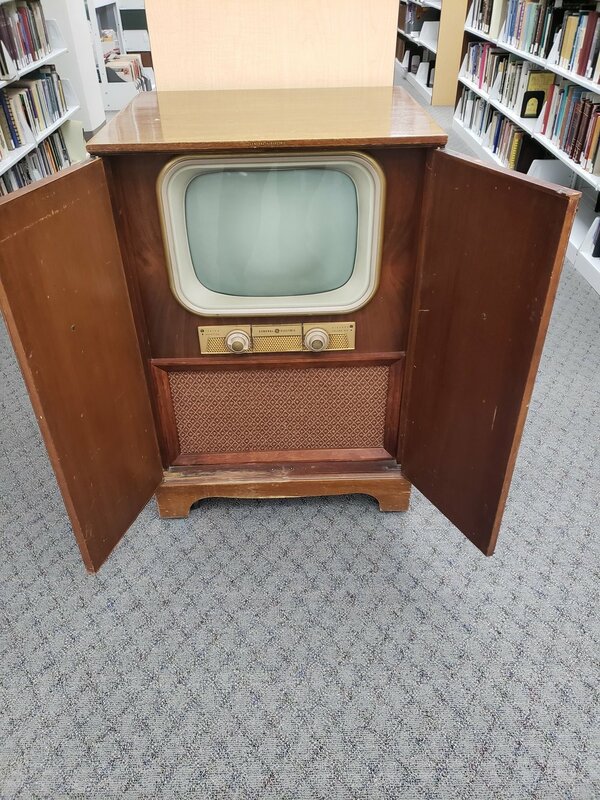 They have a remarkably well-preserved inventory of early televisions and old console-style radios. I like this microphone a lot even though it’s busted. The principles are the same now - keeping it suspended and shock-absorbent helps make a better sound. I always wondered why they put the call letters on the mics even though there was no picture being transmitted. The archivist explained that they take a lot of photos of radio shows in those times and it was good for that. Also these mics were expensive and would just be moved from the studio to the event that was covered live, and the press would get photos there of it, hopefully. It’s all about good publicity. I think shortwave radio is really cool, and I know I’m pretty alone in that idea, but all the home console radios of the 1930s had shortwave tuners so you could hear the news from Europe anytime you wanted. They also included the police band and sometimes aircraft frequencies as well (much later on than 1930s). The other great thing to read about was the lack of regulation in broadcast signal strength, so there were a lot of stories of station owners pumping out 500,000 watt AM stations and being heard across the country or even on the other side of the world. Hillarious I think, what a great way to get rid of the other stations. This unit had the back panel off so we could look at the antenna, which was pretty substantial. No wonder they could pick up everything clearly via shortwave or whatever. FM signals are about 20 years away for this unit, but the design of it really makes you wonder - this is a unit that is meant to be on full display in a family room, to fit in with the furniture, and be something you are not ashamed to see. 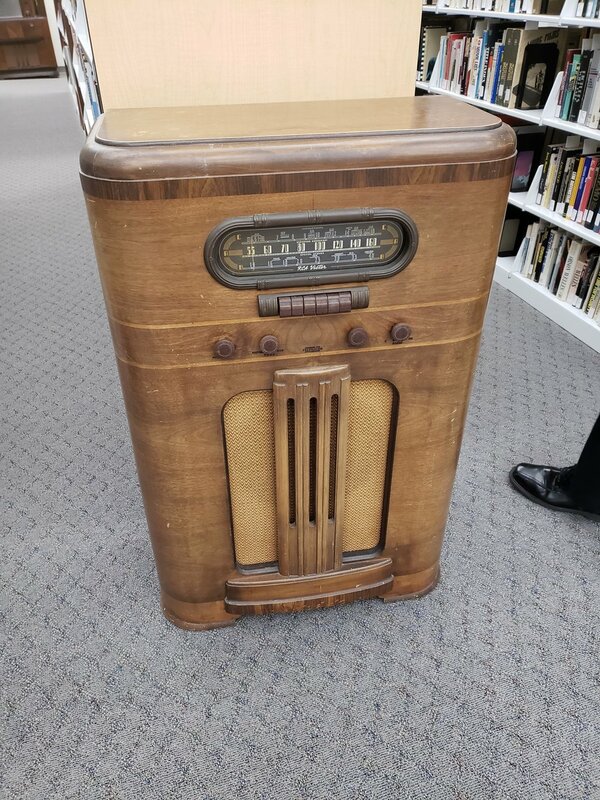 Radio design today says little more than, “I’m a very advanced stereo system.” I wonder what this design said to people in the 1930s and 1940s? Does it say “furniture” or does it say “technologically advanced?” What’s the message in the design here? You see these issues being addressed a lot clearer in the early televisions, which tried a lot to look like console radios like the one above. 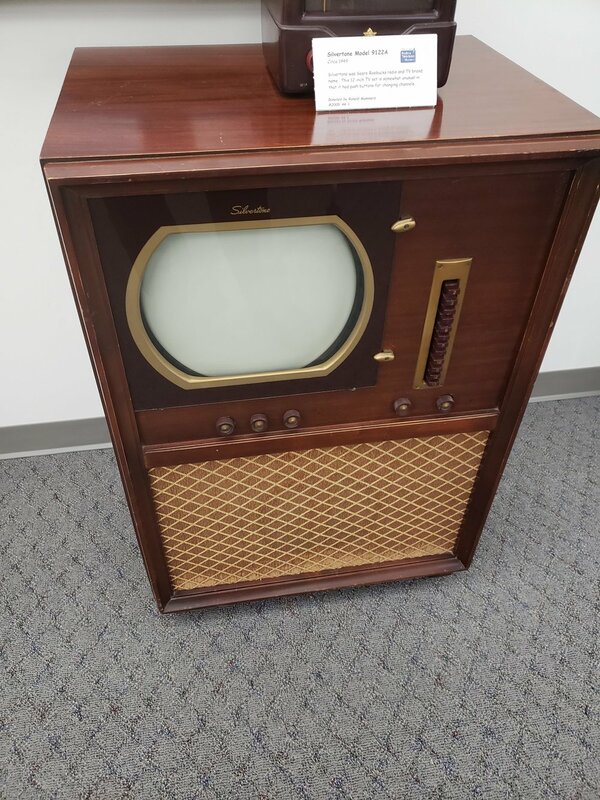 This unit is a great example of trying to bridge the TV/radio divide in a way that we can safely assume is speaking to the audience of the late 40s early 50s. This one also is trying to look like furniture but the presence of the screen and the attention that the screen compels is really an interruption here. Later models would come with cabinet doors to close off the screen when not in use. Even in the photo, your eyes want to go to the screen as the center of this unit’s design. Is that trained? Where does this compulsion come from? There is something about TV that compels attention even if you are not actively watching a show. You find yourself “looking up” at it without even thinking about it to see what’s going on. Also at this time 24 hour programming was unheard of, perhaps even something that would be undesired, so there was no point in having the TV available all the time. Having it in a cabinet makes the furniture appearance really easy - it’s just another hutch or cabinet in the living room. With this one, the attempt to resemble a radio is gone, and the screen has taken over the focus of the unit. But the doors indicate that this is still meant not to disrupt the organization of the living room at all, and can be removed from the scene by shutting the doors. This fascinates me as the contemporary living room is arranged around the television. This design indicates that the television interrupted the living room design, and needed to be incorporated into the room in a way that made sense. Just sitting out there as a big screen wasn’t going to cut it. This is the best photo and the one I wanted to close on. 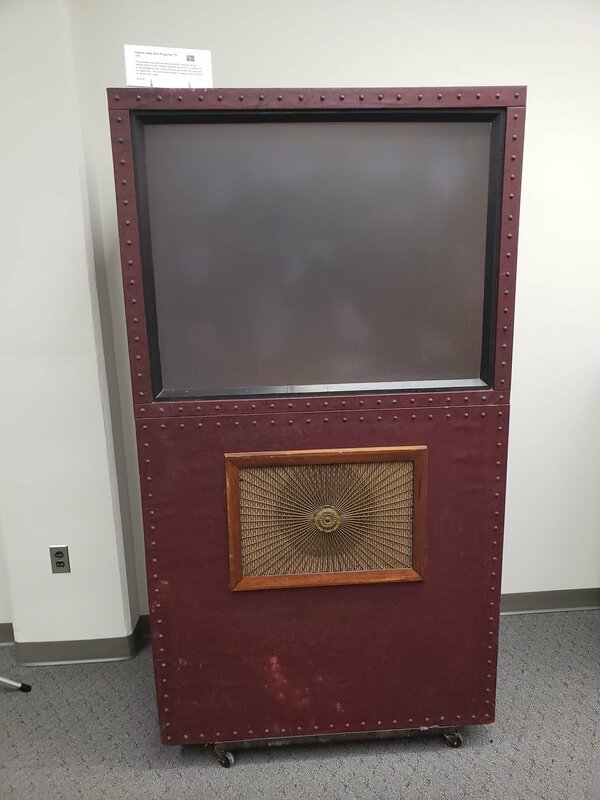 This is a custom made RCA black and white TV that was built for a bar owner who wanted a big screen everyone could see when they came into the bar to watch sports and other events. So this is evidence that there has always been this desire to have big, loud TVs in the bar. This unit, from the dawn of TV, shows that TV has always been obnoxious. I bet 1950s bar patrons also complained about how you can’t just have a drink without some TV blaring in the background. What a great collection, and I’m so glad to have seen it. Who preserved all this stuff? Who kept it in such good condition over the decades? It makes me think about how easily we throw things away and how cheaply they are made. I wonder what, if anything of our broadcast technology, will survive for future archives?